The Summer Fruit Facial by Eminence! 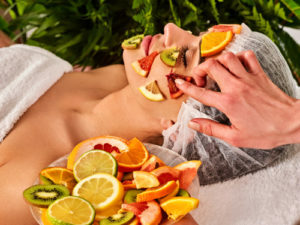 June’s facial of the month will bring life to your complexion, exfoliate and deep clean your skin giving you the youthful look that we all want for the summer. Your deep cleaning facial will start with the use of an Ultrasonic facial scrubber with tiny ultrasonic vibrations to help remove dead skin cells, dirt and oils. 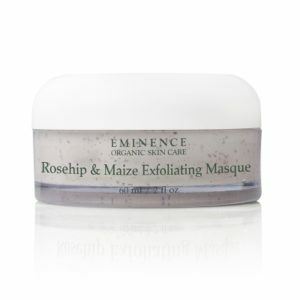 Next, she’ll be wrapping your skin in warm towels while the rosehip & maize exfoliating treatment uses maize flower and salicylic acid to gently remove any buildup on the skin prior to manual extractions. Your skin will then be soaking up antioxidants with the Pink Grapefruit Vitality Masque. 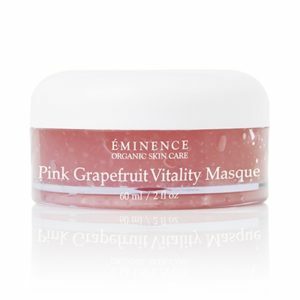 This masque is not only loaded with antioxidants from the grapefruit, but it hydrates, lifts and nourishes your skin with honey. 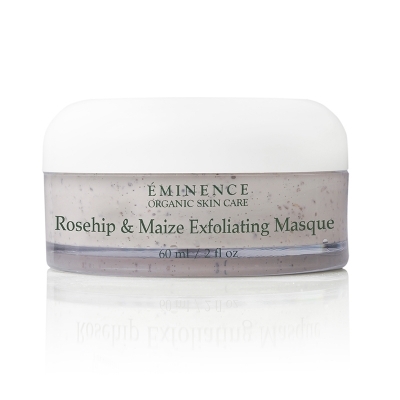 While your face and décolleté soak up all of the nutrients from the masque, an arm, neck and hand massage will leave you feeling completely relaxed and refreshed, like summer fruit! Frankie will customize this facial to your specific skin type by applying a serum meeting your skin needs using sonophoresis. Sonophoresis occurs because ultrasound waves stimulate micro-vibrations within the skin epidermis and increases absorption of the topical serums applied, giving you maximum benefits to your treatment. To top off this summer treat, the award winning Coconut Age Corrective Moisturizer will be massaged into your skin leaving it feeling lifted and tighter. You won’t want to miss this for just $65!! !